A year ago, you'd have been completely justified in asking who Uddipan Sarmah is. However, with the release of his somewhat successful debut album 'Zindagi', such questions have been partially silenced. Yet, he remains one of those exclusively indie artistes known only to music enthusiasts who regularly scour the internet. Even though that's a situation Uddipan has tried hard to dodge, he's had little in the scope of promotions or gigs to substantially stir his potential audience so far. Having recently shifted base from Bangalore to Ahmadabad, Sarmah is currently in the midst of working on the follow-ups to his mission statement, hoping to finally establish him as an prominent creative force in the Indian circuit. Sarmah's music as he puts it is an inventive combo of lip-snarling pop and alt-rock that seamlessly incorporates his love for genre-hopping and his extremely diverse musical background. "I grew up watching my father emote with music and even though the music he favors is on the other end of the spectrum for me, I could relate to his sense of passion for the art form. 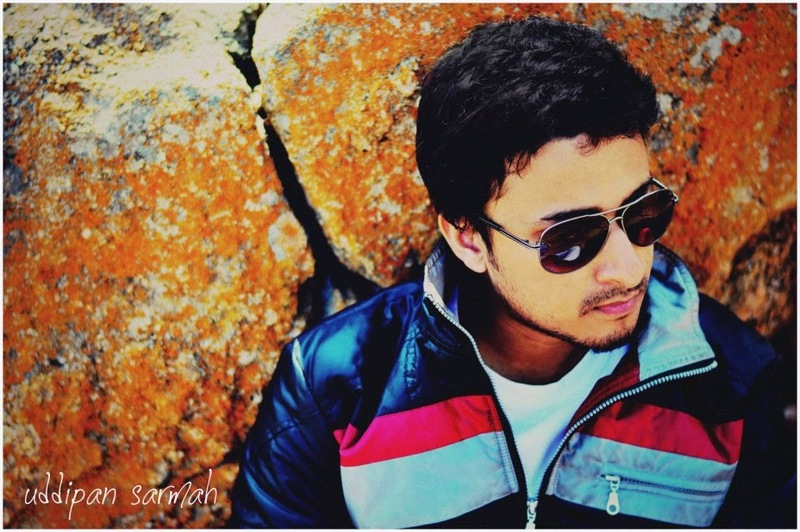 In due course, Music helped me become myself and it is now the most liberating experience for me." Influences of every kind pour out throughout 'Zindagi' and it's easy to see how when you delve a little deeper into the enigmatic singer-songwriter's journey as a musician. “Back in college, I used to be part of a Metalcore band 'As run refrains'. It was more or less an attempt to understand the industry, to learn how to be a DIY band because ideally we didn't have an option and most importantly to fuel the fire that was burning within us at the time, as youngsters. Music for the love of music, those were definitely the best days of my life. But just like the age old adage goes 'all good things must come to an end' He says in a somber tone.I remember staring at the ceiling and wondering to myself what I wanted to do next. I realized my expiration date wasn't close and that I should go and do what I want to as an artiste, while I can. While I was in 'As run refrains', I had this habit of working on random acoustic melodies just not knowing what I wanted to do with them. After I was done with engineering, I was a little more aware of how things worked for an independent artiste. I figured that cutting an independent album, with little money at hand and even less resources looks like a giant leap in the Indian circuit- but I figured that with the right amount of effort it isn't a very tough task. So, I set out to complete those melodies and because this was mostly personal it made more sense for me to express them in Hindi. That's when my solo avatar was born- I recorded Zindagi in my room in Bangalore, with little knowledge of how to record, mix, master, package and produce an album. Of course, I took the help of a lot of people but watching a full-length album building up right from scratch and that too with nothing more than just an idea in mind is a very revelatory experience." He adds. 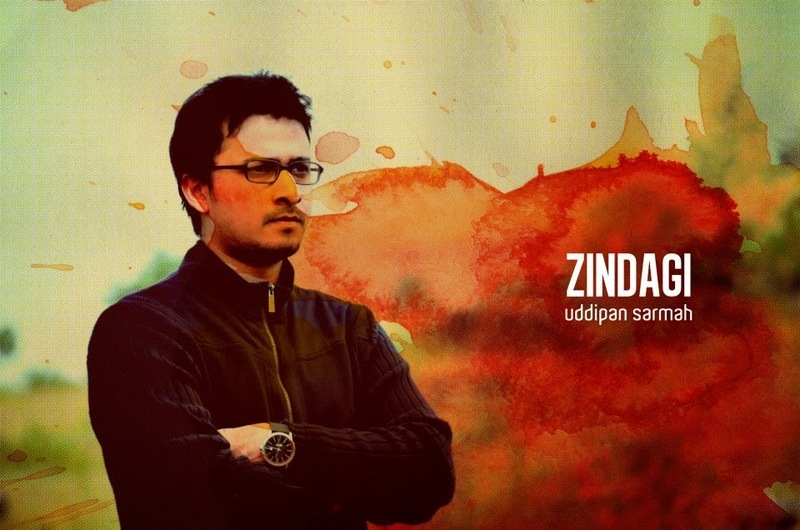 Zindagi, undoubtedly left a lot of mouths flapping about Uddipan because he not only steered his musical expertise consciously towards a more commercially viable aesthetic but because he clearly pushed the envelope having woven a pan-generation story throughout the album. "Zindagi, like I mentioned earlier, is a very personal album and it turned out the way it was because I wrote it in a span of almost four years between college and working as a Marketing Executive. I think that was one of the reasons why it feels like a successful record to me is because I managed to craft an honest record." He comments. And with what he has built over the years, 2013 was definitely in the bag. "Once the record started selling and people started responding to it, I realized I could make the leap from music being my passion to a full-time job.I was travelling because of work all the time, so I realized building my base in Bangalore would be a little hard. That's when I made the shift to Ahmadabad. Ideally, I couldn't have survived by just making music either. I realized a lot of independent artistes wanted to record an album and put it out for people to listen. That's when it struck me that while I had managed to do it for myself; I had acquired skills to help someone else do it as well. 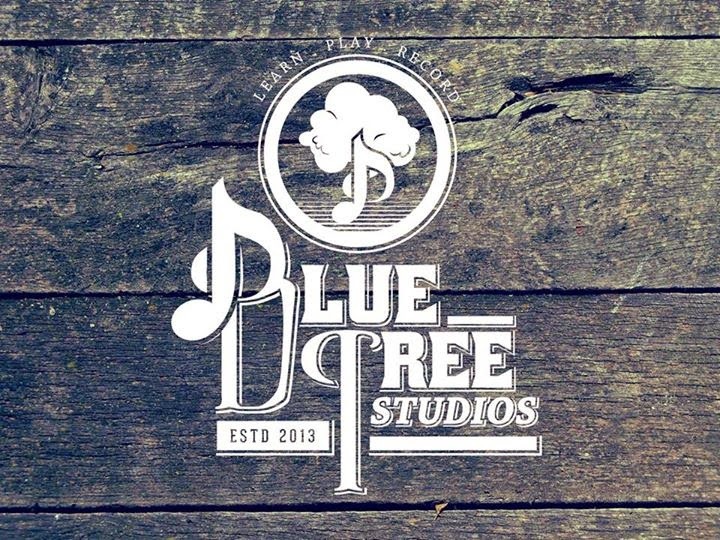 That was the genesis of Blue Tree Studios. I figured out the logistics of the plan and went ahead with the idea. For the first time, even my parents were supportive of the plan because as an addition to just playing music I had started to produce, teach and market music for independent artistes and it seemed like a pretty solid business proposition. So me and my friend Shubham Gurung sat for months together and figured out everything from recording techniques to how the studio should look." Very silently BlueTree Studios earned themselves a formidable reputation and a huge number of rabid supporters throughout Ahmadabad. Very fittingly when they started shop, their schedules went batshit as if the initiative had transcended the normal rules of a business. “What people from the rest of the country don't realize is that a subculture very much exists in Gujarat just as much as it exists anywhere else. It's very close to Mumbai and Delhi and has a huge community of musicians and music enthusiasts." Uddipan is a few weeks away from starting a tour as a producer, after spending the vast majority of 2013 in a room pushing buttons; undoubtedly he seems enthusiastic and full of cheer. "The idea was never to restrict myself to Ahmadabad alone. I want to make music a possibility for independent artistes from all over the country." Uddipan has a lot more on his plate right now. As speculation begins as to what direction his new material will take, Zindagi's widespread acceptance makes it somewhat hard for Uddipan to stray too far from the trademark indi-pop/rock sound that was used to such great effect even in recent recordings like 'Faasila'. Even so, Uddipan is willing to take a chance and move leisurely onto higher ground. "I have a couple of projects lined up for the coming year, besides my solo-stint. 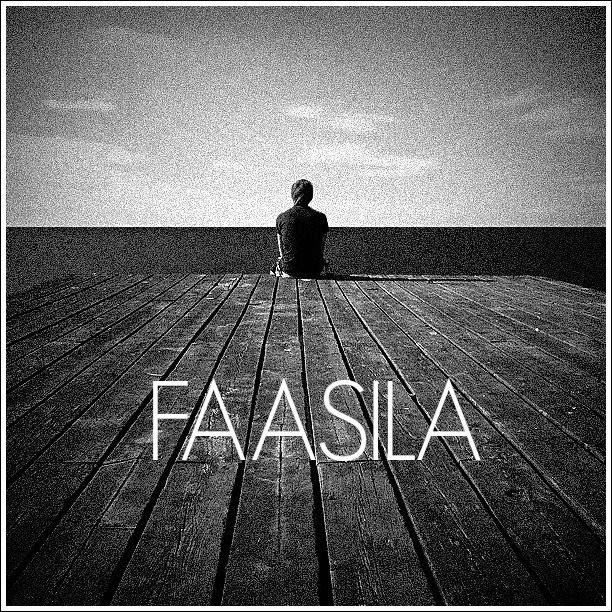 I'm currently in the studio recording tracks for my bands 'Ajivika', 'As we keep searching' and 'Keep the skies clear'. After I came back to Gujarat, I had the fortune of crossing paths with Ashwin Naidu and Willy Stewart, who have now become a very intrinsic part of my projects along with my long-time friend Shubham. We are not trying to create a revolution but hell yes, we love making some noise."